Are New Year’s resolutions worth making when, according to statistics, between 80 and 90% of them will fail? You may have ample personal experience with the truth behind this statistic. We’re creatures of habit, and often many of those habits are bad. So we make plans and strive to do better again and again and again, only to add those twenty pounds we’ve dropped plus some, spend twice whatever debt we managed to pay off, and end the winter feeling more defeated than ever. Facing yet another failed attempt, we decide we’re the problem. We’re simply not disciplined and committed enough. But what if we’re approaching this whole “quest for a better self” wrong? What if in our determination for change, we’re setting ourselves up for frustration? 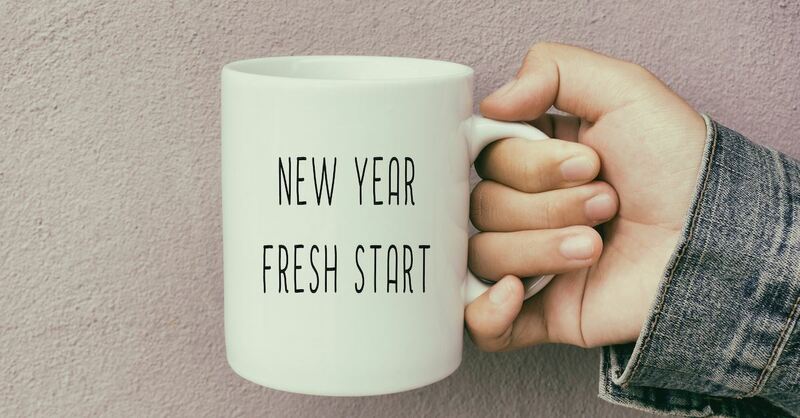 Here are ten steps that can help you think through your goals for the new year. In a desire to get fit, you determine, starting in January, to go to the gym at least three times a week. A great goal, right? What you don’t realize, however, is that your car will go out midway through the month of February, requiring repairs that will take nearly a week and will drastically cut into your budget. This not only clashes with your second resolution to increase your savings, but actually threatens to land you in debt. Countless unexpected scenarios can derail our plans, but God knows what lies ahead and exactly what we are and aren’t capable of. Before jotting down your New Year’s Resolutions, take some time to seek God’s guidance. Ask Him if your goals are realistic and attainable. You want to learn three languages, read eight books, and travel to three locations you’ve never been to, but to what end? Because those things sound entertaining or would make you feel significant? There’s nothing wrong with exercising our brain or experiencing new things, but without a clear why, your perseverance may wane. We can do a lot of really great things, but if our efforts aren’t feeding into our goals and dreams, chances are we’ll be simply spinning our wheels. If you’re like most of us, you often make the same resolutions and abandon them come spring. You might even do so for the same reasons each year. Perhaps you long to be an early riser who prays and reads Scripture for thirty minutes every morning before work. Unfortunately, you also have three very active teenagers with basketball and volleyball games that routinely keep you out late. In that case, you’d do better to focus on the broader goal—that of spending time regularly with Jesus, determining when would be best to do this. Perhaps you want to lose fifty pounds. That can feel daunting to even the most enthusiastic and determined resolvers. A year without sugar will feel terribly long, and simply “eating better” is too vague. Most people can, however, go without anything for seven days, after which they can set another goal, and then another. Shorter goals (in duration and scope) will feel much more manageable and will allow for continual wins that will increase morale and thus make long-term change more likely. First, you need to recognize the negative habit or habits. Some are obvious, but you might need to self-analyze to discover others. Usually, we stop here and center all of our attention on what we don’t want to do. The problem is, the more we focus on the cookie—not eating it, determining not to eat it, wishing all chocolate tasted like broccoli—the more you’ll want it. This is true with most any behavior we wish to avoid. The solution is to determine a positive habit to replace the negative one then develop a strategy on how to do so. For example, say you snack on junk food most over the weekend. Plan ahead, stock your fridge and pantry with healthy food, and occupy your mind with something fun. In our grit-your-teeth and get ‘er done culture, many of us place incredibly high expectations on ourselves. We think we should be able to do something and stick with it, just because it’s the right thing to do. In a perfect world occupied by perfect humans, perhaps this is true; but most of us work best on incentives. When planning out your New Year’s resolutions and incremental wins, write out rewards for reaching each step. For example, when you pay off 10% of your credit card, meet a friend for coffee. When you lost ten pounds, buy yourself a pair of earrings or go on an afternoon outing. Many mornings, when reading my Bible, I feel convicted to grow in an area. I’ll be quick to listen and slow to speak (James 1:19), or spend more time in prayer (Romans 12:12), but so often I’ve completely forgotten my commitment by noon. To help with this, I’ve taped reminders to my mirror, the door leading to the garage, and have even been known to schedule relevant phrases into my online planner. This can be done for any goal; we’re pursuing character growth, increased knowledge, or better health. Interacting with Scripture is a powerful way to transform our thinking, which in turn transforms our behavior. God’s Word also has mysterious, supernatural power. In fact, of all our spiritual armor listed in Ephesians six verses ten through 17, the Bible, which is said to be the “sword of the Spirit,” is our only offensive weapon. God’s word is living and powerful (Heb. 4:12) and when recited, can help us demolish thoughts and desires contrary to God’s will for us. Jesus demonstrated how to use Scripture when tempted. When in the desert, whenever Satan came at Him, He fought back, successfully, by quoting Scripture. (Matthew 4:1-11). Hopefully you’ve set obtainable New Year’s goals, but even then, expect starts, stops, and setbacks. Don’t let an imperfect journey discourage you; instead, focus on progress. If you’re goal is to lose ten pounds but you end up gaining five, did you choose nutritious snacks and thus improve your overall health three days out of seven? Did you go to the gym twice that week when you hadn’t gone at all the year before? Claim those improvements as wins. Change takes time and perseverance, and it’s not always linear. If you believe in Jesus Christ, Scripture tells us we have resurrecting power living within. Apart from Him, we can’t do anything of eternal value (John 15: 5). Our goal then should be to invite Him into our efforts and to lean hard on Him whenever we’re attempting to initiate change. The more we stay connected to Him through prayer, reading our Bibles, and quieting ourselves to hear His voice, the greater our strength to live abundant, self-disciplined lives. He wants us to thrive even more than we do, and He’s committed to walking beside us every step of our growth journeys. Editor, Novelist, and speaker Jennifer Slattery has a passion for helping women discover, embrace, and live out who they are in Christ. As the founder of Wholly Loved Ministries, she and her team partner with churches to facilitate events designed to help women rest in their true worth and live with maximum impact. She’s spoken to women’s groups and at conferences across the nation, is the author of six contemporary novels and is the managing and acquisitions editor of Guiding Light Women’s Fiction, an imprint with Lighthouse Publishing of the Carolinas. When not writing, reading, or editing, Jennifer loves going on mall dates with her adult daughter and coffee dates with her hilariously fun husband. Visit her online at JenniferSlatteryLivesOutLoud.com.